Camponogara, is a Venetian town of approx' 13 thousand residents in the province of Venice, Italy. 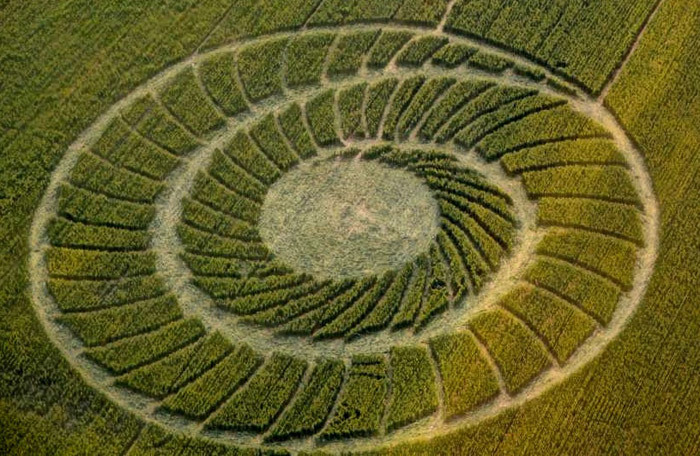 In the next few days it will likely have many more visitors, with the likely arrival of onlookers from every part of Italy coming to view a Crop Circle, discovered Thursday, June 14th. Top ls a beautiful illustration of a pokeball. Gotta catch em all!! Looks like a Pokemon ball..
Ooh! a pokeman Ball? ?...well maybe! 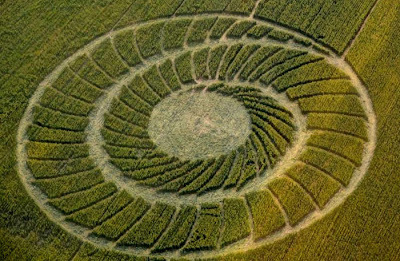 The crop circle makers are getting a little lazy on us :O LOL! its about leaving the herd of humanity , it is a signal to all those who have had contact , the time is near, the great revelation that is the truth about ufos is about to be broadcast to the planet.look towards the games , watch the skys ..